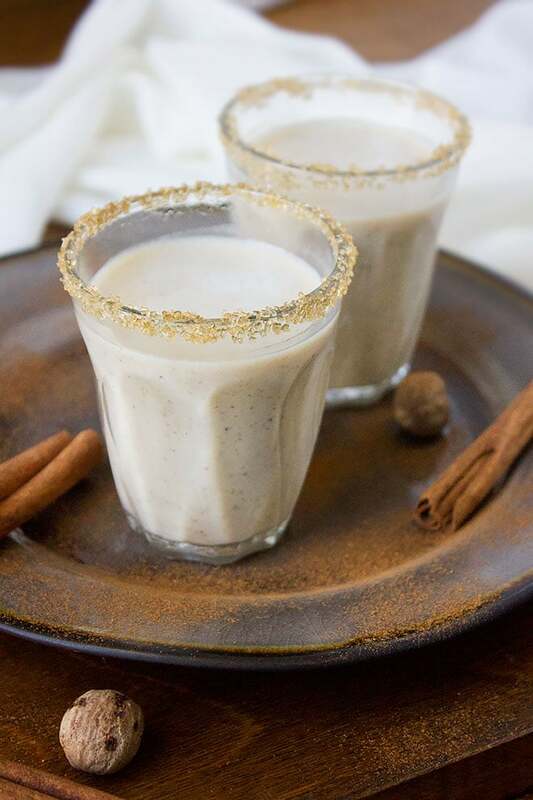 Eggnog – I am one of those who can’t consume raw eggs, the idea freaks me out. 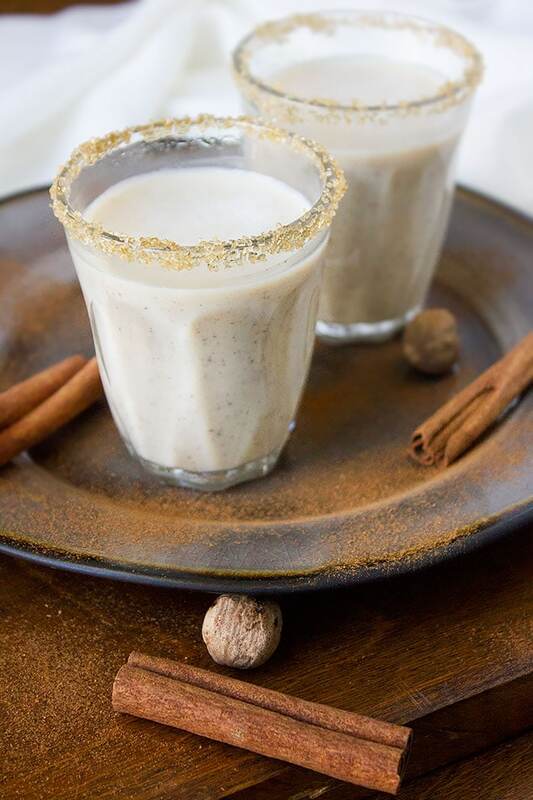 You might be thinking how can I create eggnog recipe, give it a mind blowing flavor, without tasting the Authentic version! Well, I did taste the authentic eggnog and it was made of raw eggs, I fell in love with the flavor right from the first sip, but I didn’t know that it was made of raw eggs until later! I’m not against eating raw eggs, It’s just not for me. 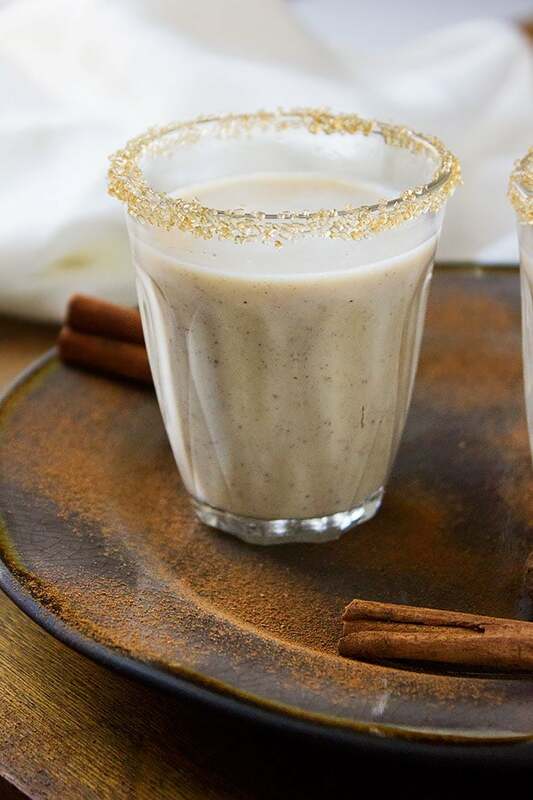 After experiencing the amazing flavor of eggnog, I can’t but have it again, and the recipe I’m sharing today came to my rescue. I promise that my recipe tastes so good and is addictive. It’s safe since the eggs are cooked, and it is kid friendly. 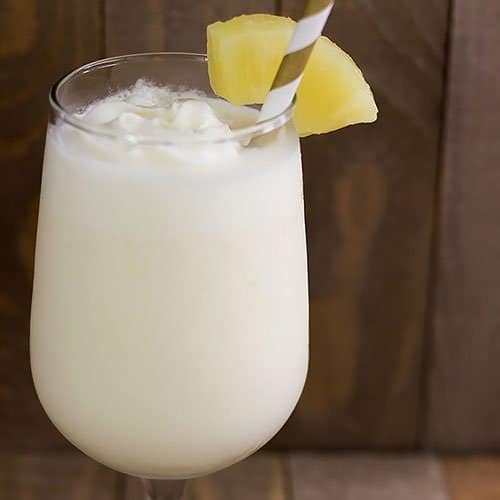 You will never worry about the safety of this drink while pouring it to your guests or family, and it tastes even better the next day. If you are not comfortable using raw eggs like me, then this is the safest most delicious eggnog recipe and it is so easy to make. 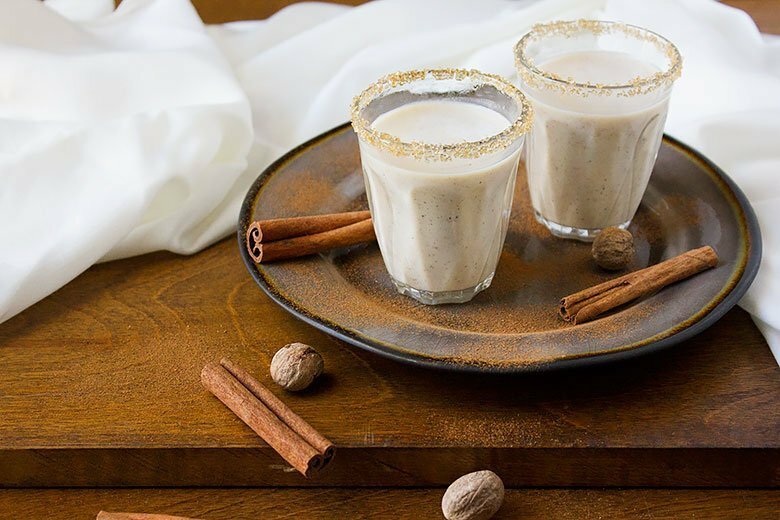 A nonalcoholic eggnog recipe that will stay with you forever. 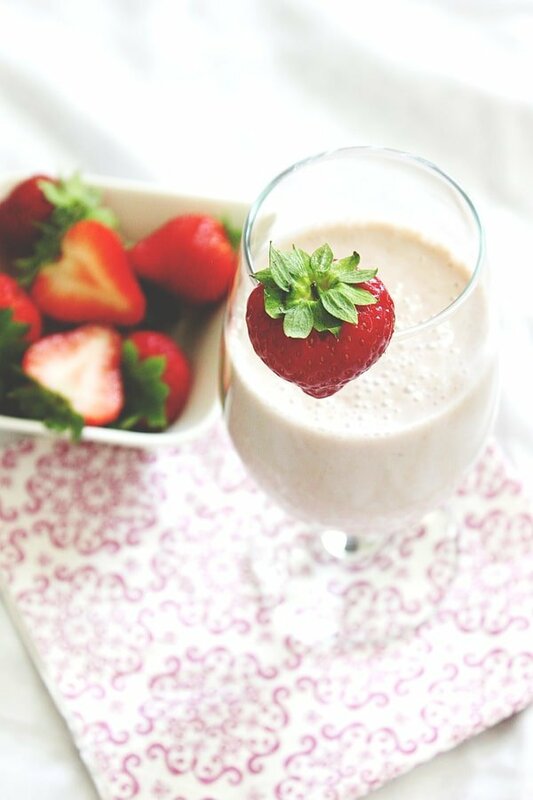 I made it using whole milk and it tasted great too, you can cut down the calories by replacing cream with milk. I’ve discovered that homemade eggnog tastes thousands time better than store bought. How do you like your eggnog served? Cold or warm? 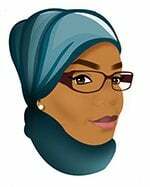 I like mine chilled, I can’t have it in any other way. 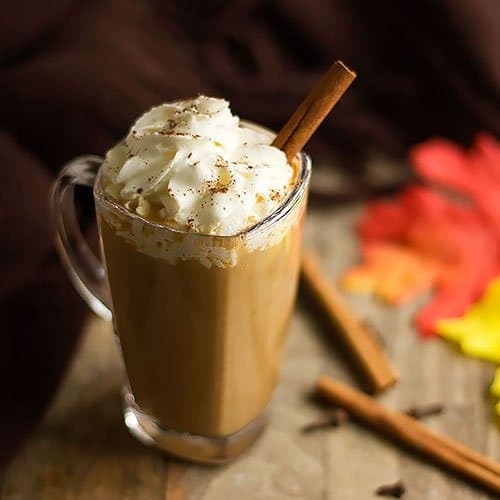 This recipe is rich and the combination of spices used will WOW you for sure, I don’t think that you’ll want to add cream on top of your eggnog but that’s up to you. 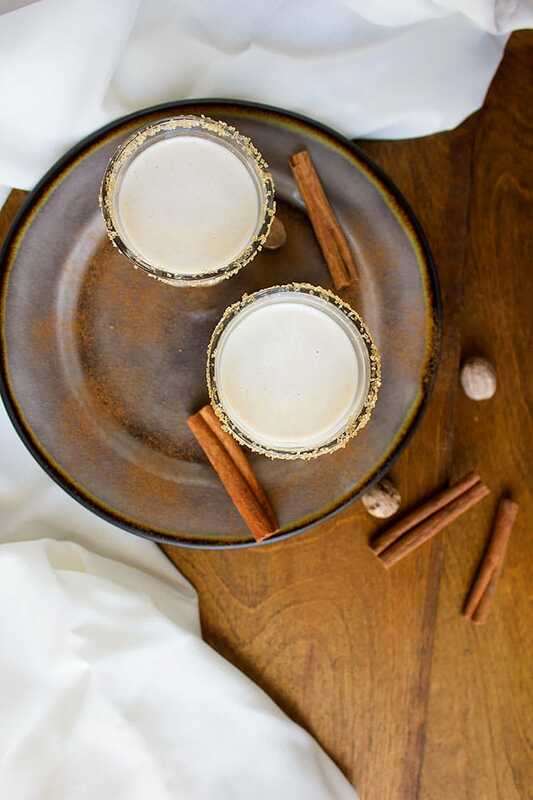 I hope that you give this made from scratch eggnog recipe a try, and if you feel like letting me know, I’m on Instagram and Facebook most of the time, I’d love to hear from you. 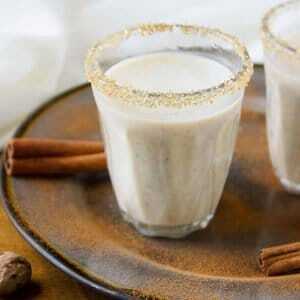 Creamy and delicious eggnog recipe that's safe for kids to enjoy as well as adults. Silky smooth texture with amazing flavor coming from different spices used. In a saucepan, add 1 ¼ cup milk and spices, let it come to a simmer while on medium-low heat. Do not let it boil. In a bowl, add the egg yolks and the whole egg, beat for one minute. Add the sugar and vanilla, beat until fluffy. Tamper the egg mixture by adding the milk slowly while whisking. Pour the whole milk and continue whisking. Return the egg and milk mixture to the saucepan and keep whisking while on medium heat for 3 minutes. The mixture is going to get thick. Remove from heat and strain through a strainer. Add ¾ cup milk or heavy cream and mix well. Let it cool completely and then refrigerate.